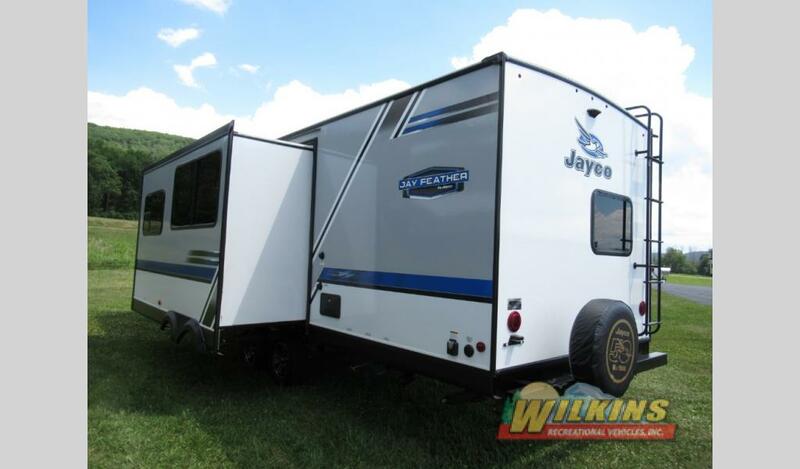 The Jayco Jay Feather is the perfect ultra lightweight travel trailer for family fun and adventure. 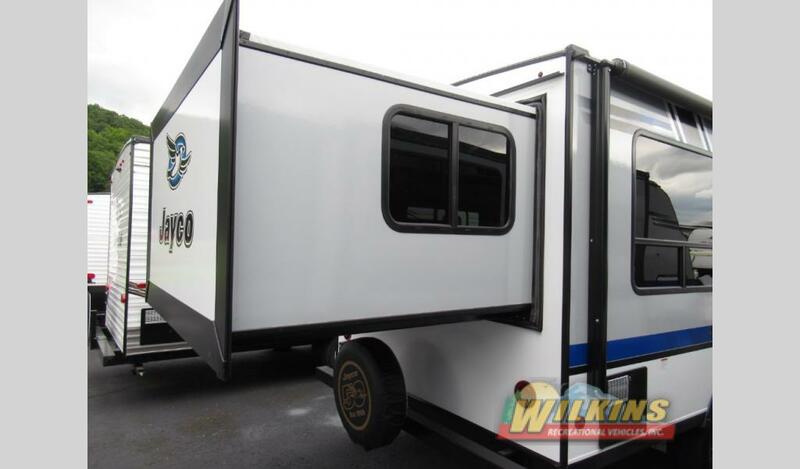 With its Tuff Shell vacuum-bonded, laminated floor, side, rear and front walls including slide out room walls, this aerodynamic RV camper is both durable and easy to tow. In addition, there are many Jay Feather RVs for Sale in a wide variety of body styles including bunkhouse, expandable and slide out models. 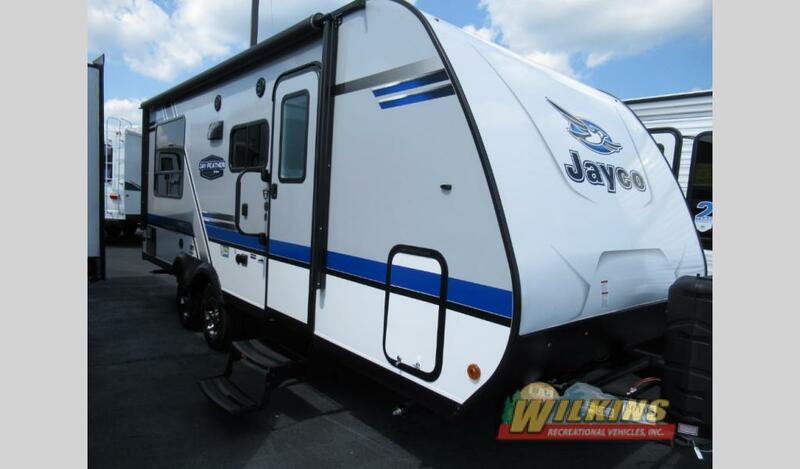 Here, we’ll take a look at some unique Jayco Jay Feather floorplans that really standout. Jay Feather Travel Trailers are available in a wide range of family friendly bunkhouse floorplans. The Jay Feather 27BH model, in particular, is a fantastic mix of spacious comfort and lightweight towabilty. The Jay Feather 27BH has it all, sleeping space for 8, a large slideout room, an outside kitchen, a booth dinette along with a jack knife sofa. 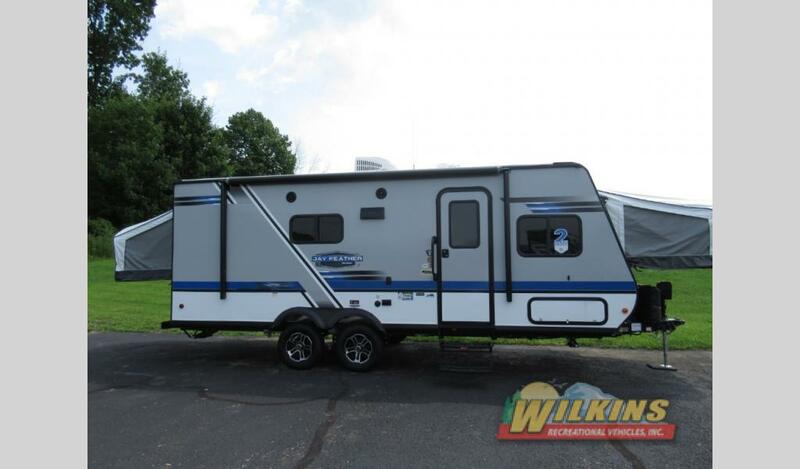 This well equipped camper provides plenty of room at a modest towing weight right around 6000 pounds unloaded. Jay Feather Expandable Campers have sides that fold out into beds. This hybrid travel trailer style cuts down on the length and weight of your camper, but still provides plenty of comfortable living space. Take a look at the versatile Jay Feather X23B Floorplan. 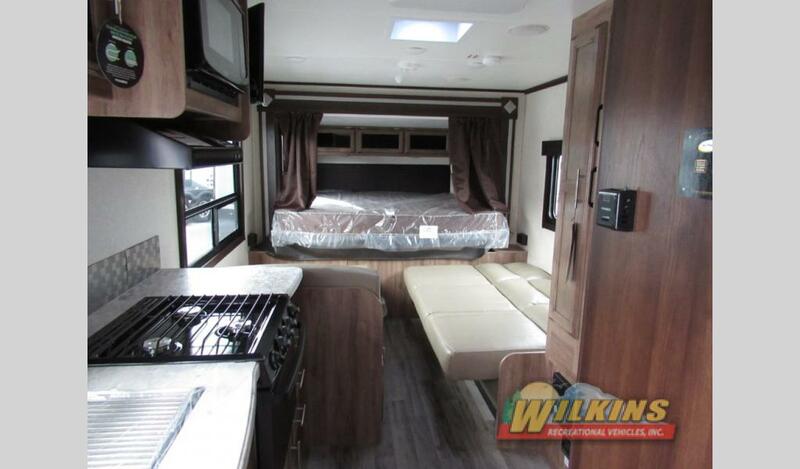 This 24 5″ foot long expandable travel trailer is less than 4425 pounds unloaded, sleeps 7, has a full kitchen and bathroom along with a U-shaped dinette and large fold out sofa. Another unique Jayco expandable camper to check out is the Jay Feather X213 Model. 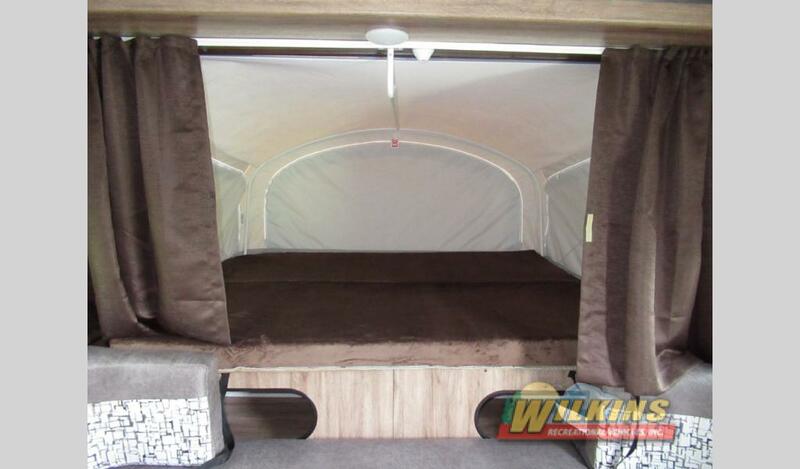 This super cool lightweight travel trailer features a rear slideout room that houses a master king sized bed. There are bunk beds located in the front of the coach plus a booth dinette and sofa for combined sleeping accommodations for 6. At less than 4500 Pounds dry weight, the Jayco Jay Feather X213 is ideal for campers with a mid sized truck or SUV. You will find a full kitchen and bathroom in this floorplan as well. To get a closer look at any of these Jayco Jay Feather RVs for Sale at Wilkins RV in New York state, Contact Us for a tour. These special lightweight campers are one of a kind and a must see!